As a kid you may have been lucky enough to go to a summer camp with a rock climbing wall, a zip line, or maybe even that big inflatable thing that shot you into the air before dumping you in the camp’s lake. Sure, arts and crafts and roasting marshmallows hasn’t really changed. On the other hand, a majority of the other fun camp activities you knew and loved have been taken to a whole new level. Check out these 6 summer camp activities that have improved by incorporating technology. You’re probably asking yourself how storytelling has gotten better since you were at camp. Storytelling is one of those camp activities that hasn’t changed much since cavemen first invented it. Although these days, there’s an app for everything and many camps are utilizing this technology to stimulate creativity and most of all fun! Story Dice is an app for your smart phone or tablet that creates creative writing prompts with the flick of a wrist. You roll computerized dice with symbols that you are supposed to incorporate in your story. For example, if you roll a spaceship, a crown and a diamond then you can tell the story about an interstellar pirate king searching for the lost treasure of the Andromeda Galaxy. It’s a great way to promote group participation or get over writer’s block. There’s another storytelling app called VideoScribe, which allows you to create a video from images you draw directly on your device. You can also add images, GIFs and even soundtracks to your presentation. This allows campers to visually enhance their storytelling. You can even record the story so you can send the whole thing back to mom and dad. 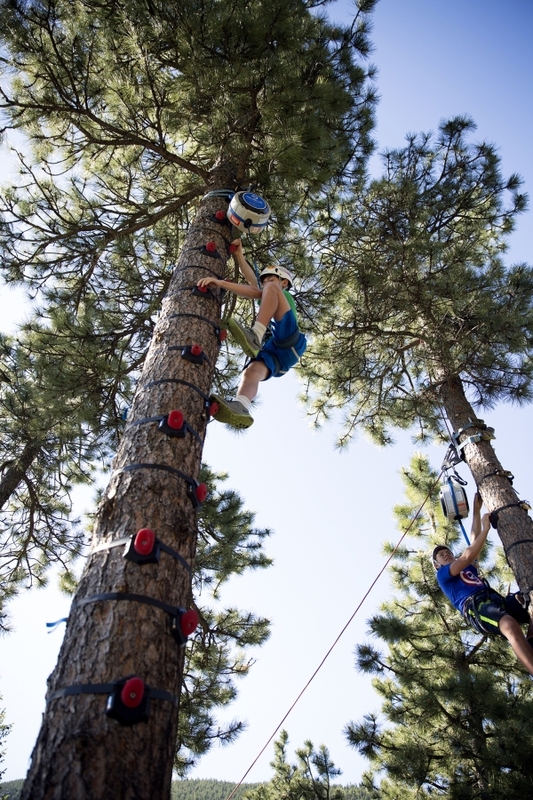 Number five on our list of cool camp activities is the Arboreal tree climbing system. We’ve all heard our parents scream, “GET OUT OF THAT TREE!” when we were caught climbing something we shouldn’t have. Your mom probably thought you were going to fall and break your neck. Those days are now in the past. The Arboreal tree climbing system is a series of climbing holds that are strapped to the trunk of a tree. This means that your kids won’t plummet from a tree after snapping off a dead branch. Instead, they can grab on to plastic hand holds. Most camps combine Arboreal either with a TRUBLUE auto belay or some type of top rope system that uses a Universal Mount. This allows tree climbers to get to the top of any size tree. 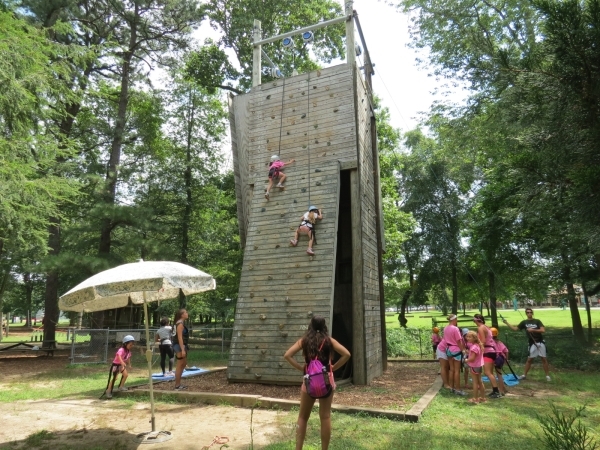 Thanks to Arboreal, not only are today’s campers able to climb the highest trees without the risks that you took as a kid, but they are also climbing interesting routes that develop problem solving skills and provide a sense of adventure while they do it. Including a scavenger hunt in your list of camp activities is a great way to teach map reading and problem solving skills. If done right it can also promote team-building and encourage friendships that last the rest of camp. Traditional treasure hunts were done with paper maps and clues. These days treasure seeking enthusiasts use the GPS on their smartphones to find the general vicinity of a cache. Once you are in the right area your phone will give you a hint where the treasure may be hidden. The really cool caches will even require you to solve a puzzle to unlock them. This phenomenon also known as geocaching isn’t only limited to camps. People of all ages participate in geocaching. At the time this article was written there were more than 2.5 Million geocaches worldwide. The boy scouts even have a geocaching merit badge. High speed Zip Lines come in at number three on our list of improved camp activities. If you had a zip line at your camp as a kid, chances are it was either, slow and boring or had some type of sketchy braking mechanism. These days, camps are incorporating fancy high tech braking systems like our zipSTOP. The zipSTOP uses eddy current magnetic braking to passively stop zip liners even at high velocities. Now modern day camps are able to install exciting zip lines that will give your campers an experience they will remember for the rest of their lives without having to rely on antiqued braking systems. 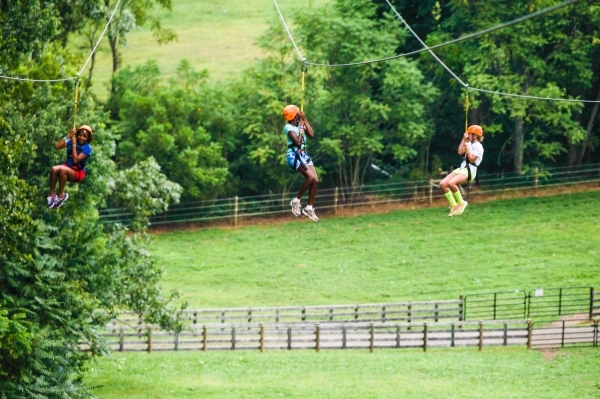 This summer camp has 3 zip lines that use zipSTOPs. You probably didn’t have outdoor climbing as an option at camp when you were young. If you did it was probably only reserved for the older kids that could be trusted to learn the ins and outs of climbing safety. Since that time climbing technology has progressed immensely. Nowadays campers as small as 22 pounds can clip in to a TRUBLUE auto belay and get up and down a climbing wall without any problems. 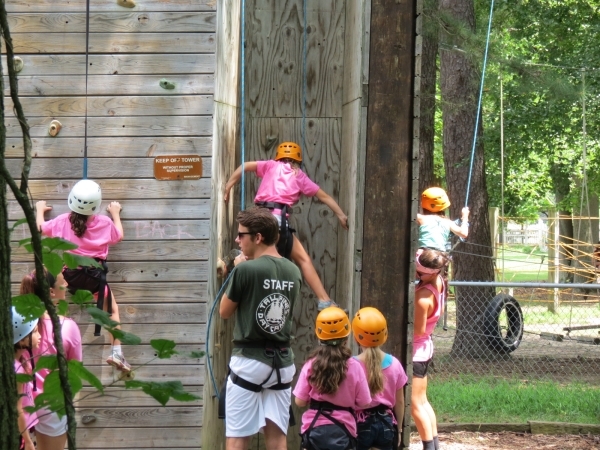 If a camp has multiple auto belays then a camp employee can monitor several campers as they experience climbing. This Camp has an entire artificial outdoor climbing wall filled with auto belays.